In these days of higher fuel prices and tighter budgets, why not find places to explore in the area where you live and activities you and your family can pursue there? Generally many of them are free or don’t require much money to do. I’ve discovered there are many in my home area. What about yours? Local Library – Many libraries have programs for kids and adults throughout the summer. The summer reading programs often involve activities for the youngsters and entertainment programs for the whole family. For instance, our library, the Pease Public Library, in Plymouth, NH, offers a magic show, animal nature show, video games, and arts and crafts programs. This is in addition to the summer reading where the youngsters get prizes according to the number of books read, or read to them. Our library also has free passes for some of the family attractions in our state. What does your library offer? Town Programs – Our small town features Wednesday evening Concerts in the Park (actually the village square in the midst of the village) where invited groups entertain. Some of the local merchants stay open longer during this time, as does the ice cream shoppe. Village Walking Tour is part of a larger state historical program and highlights the areas of interest in the town where I live. There’s a brochure with the spots of interest and their significance, both historical and present. You’ll find these at the library, historical society building and other places around town. 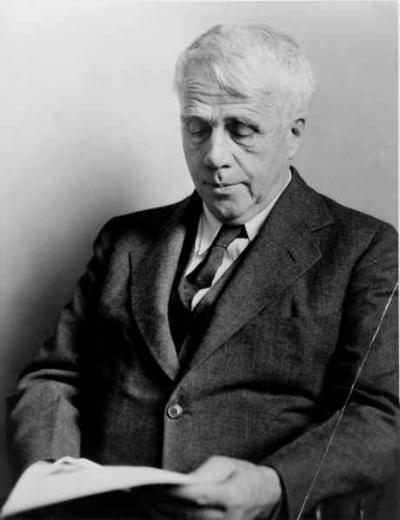 Attractions Surrounding a Person - The poet Robert Frost once lived in our town and taught at the college. During this time he wrote some of his poetry and acquired ideas for more that later was published in his books. He is mentioned on the walking tour. However, you also can visit other places where he lived in the state, such as his farm in Derry and his home and the present poet-in-residence center in Franconia. Daniel Webster tried his first case in the old court house in Plymouth. It later became a library and presently is the home of the Plymouth Historical Society, where they feature interesting monthly programs. His home also is open for visitors in another town. Find famous people or happenings in your state and see about touring the areas where they lived and worked. College in the Area – If there is a college or university in your area, check to see what they offer in the way of programs for the summer. Plymouth State University usually has concerts scheduled for the public to attend. Often there are workshops for youngsters for a modest fee. Parks and Recreation Offerings – Is there a Parks and Recreation organization in your town? These often provide daily and weekly programs for youngsters, with often evening offerings for the whole family. Natural Attractions – Hiking trails, bicycling routes, swimming holes, picnic spots all offer summer fun for the family. Perhaps you think there isn’t much to do, but look around you, research online and find your state’s tourism department. There you often can link to many activities and attractions. If your town or city has a Chamber of Commerce, they probably have a web site you can explore to find information. Historic Markers – If you’re a history buff, you’ll find the historical markers, designating sites of yesteryear of interest. Many people like to follow these around their region. There’s a listing of the markers in New Hampshire http://www.newhampshire.com/historical-markers/list-alphabetical.aspx. In all likelihood, you can find them for your state or region. Summer activities this summer don’t have to be expensive or far from home. Explore what there is to do around you.